Alibaugh the best weekend destination in Raigad district, of Maharashtra state conveniently close to Mumbai is the most preferred tourist place. It is called as Mini Goa, because of its coastal location and plenty of sea beaches like Mandwa, Kihim, Alibaugh, Akshi, and Nagaon with clean waters and sands, green hills like Kanakeshwar, Ramdharneshwar and Siddheshwar the natural beauty of coconut and bettlenut tree gardens and fresh seafood. From Mumbai Alibaugh can be reached by road as well as by ferries operating from ferry wharf. By road it is a three-hour drive from Mumbai as the route winds north from the Mumbai peninsula to Navi Mumbai and then curves and moves south along the mainland coast it is only 19 km by sea. Nowadays Alibaugh has become a very attractive tourist halt, due to its beautiful gardens planted with Coconut palms, mango orchards, chikoo wadis and paddy fields making Alibaugh a pleasantly verdant and unpolluted retreat. The area is particularly beautiful during the monsoons, with rain washed trees and the pleasant smell of wet earth making you wish you could have settled here forever. The hill range of the Western Ghats line the other side of the city giving it a unique character of greenery and the blue of the ocean, it's a wonderful place to take a relaxed vacation which will freshen up your mind. The launch from Mumbai makes it closer although during the monsoons a boat ride is not advisable. Alibaugh is an old town relating to the Marathas. Alibaugh isn't just a well known beach destination. It's also got quite a bit of history behind it. The Akshi Beach is a beautiful white sand beach. Plenty of Suru trees can be seen along the coast. The water is very clean and it renders safety for swimming. The beach is also favourite among the birdwatchers and nature lovers. The hamlet of Akshi is just 5 km away from Alibaugh. The village is full of fishermen and it is not crowded at all. The beach at Akshi is a favourite tourist spot. One could slug around the clear beaches and step inside the warm and unruffled Arabian Sea. Alibaugh Beach is the main beach of the town. The beach has the blackest sand of the region. The beach is very lively with bathers in the morning and many food stalls in the evening. Alibaugh Beach is tardily but certainly growing into a tourist attractor. Ali Shah Bawa’s Mazhar is right in the centre of the town and the beach is also named after him. The government have built a good platform for the tourist to enjoy the sea and to take bath with safety. The Alibaugh Beach is the main beach of the town and the Kolaba fort can be seen from here Alibagh beach is nearly 1.2 km from ST Stand after Zilla Parishad Office. Alibagh city is the small town on the coast of the Arabian Sea, with vast seashore stretching from Forest Office (from Varsoli Village) to Custom Office (upto Koliwada). The tourist can enjoy the sea water, take bath even when it is full tide. Alibaugh is famous for coconut and betel nut plantations and a large number of historic places to visit. Kashid beach is a beach on the shores of Arabian Sea, in the North Konkan region of Maharashtra. 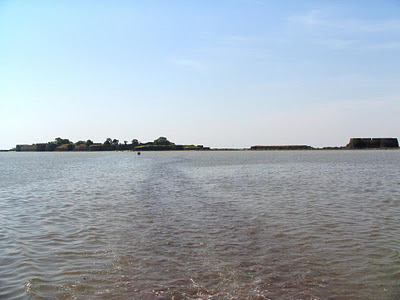 It is located 30 km from Alibaugh and 135 km from Mumbai on the Alibaug-Murud road. Kashid is popular mainly because of its white sand, blue seas, green mountains and paddy fields. Kashid has a 3 km stretch of beach tucked in between two rocky hillocks with Casuarinas groves all around the seashore. This is by far the best beach in this part of the Konkan region and though absolutely deserted on weekdays, the town can attract its fair share of week-end holiday makers. There are a number of small hotels in Kashid as the rest of the area is privately owned. The Kihim Beach is situated at a distance of 12 km from Alibaugh. It is a secluded place. The beach is famous for thick cover of coconut trees. The place is famous for variety of woods which serves as a cover. Nature lovers will be thrilled to visit the place for it provides sight of rare butterflies, birds and flowers. The most attractive part of the Kihim beach is that the place is not entirely discovered and unpolluted. The environment is very attractive. Kihim Beach is the best place for day trippers and weekenders as well. An unconventional ‘Tent Holiday’ with all modern facilities attached can be seen at Kihim. 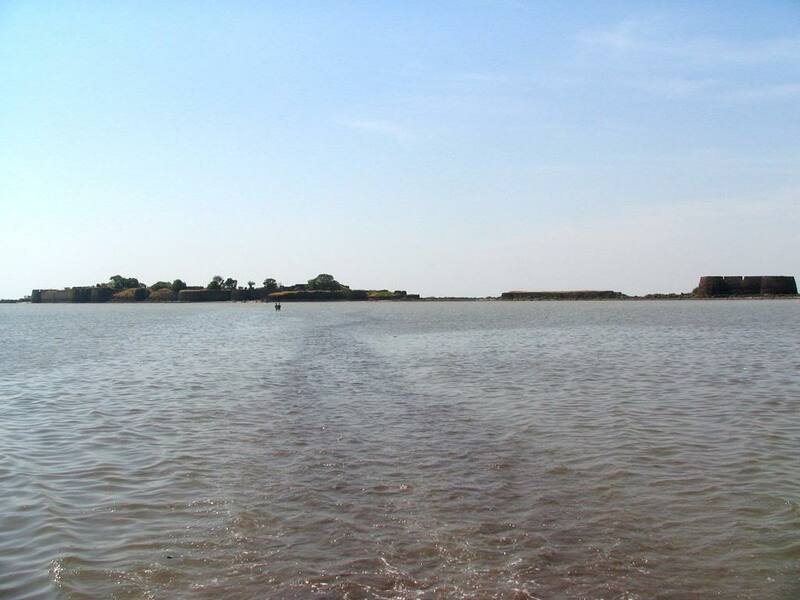 Mandwa beach is located about 20 km north of Alibaugh. The ferry services can be utilized from Mumbai to the Mandwa jetty. Mandwa is a natural port. The place is famous for many Bollywood celebrities bungalows. Mandawa is a superb and untroden beach. When the sky is clear the enchanting view across the bay till the Gateway of India cannot be expressed in words. They are a joy to the mind and a feast to the eyes. The village is charming and it is a beauty of its own. The beautiful groves of coconut palms are very pretty. Around 7 km away from Alibaugh is the unique Nagaon beach. It is famous for coconuts and betel nuts. The visitors are attracted by the loving area of the tiding Arabian sea. The area is not only charming but also breathtaking. The place is famous for clean and serene beaches. Beautiful and long stretch of calm water the beach is covered with suru trees. On the outskirts of Alibaugh is Varsoli Beach. The beach is a quiet one. The sand on the beach is white and the sea water is clean and clear. The beach is not visited by many tourists. It houses a very large naval base. Varsoli is a tiny satellite village. The vegetation of this hamlet is complete with coconut and Casuarinas. On the sea shore, 6 km north of Alibaugh, is a straggling village stretching 5 km from north to south. There are more Koli fishermen here than in most of the Alibaugh coastal villages. It is also a great fishing centre. On the shore to the north-west of Thal, about a mile east of the island of Underi, is the small ruined fort of Khubladha or the Great Fight. The Brahma Kund is a great work. It is on the hill top. There are two kunds the shiv pool and the Brahma’s pond. Brahma Kund is a rectangular tank which is encircled by steps on all the four sides. It is a very beautiful site. The site is excellent for photography. There is a small Maruti Mandir in its vicinity. As one nears the temple one can see a small statue with an encoding ‘Mirchi Baba’. This encoding was done in the year 1612. This pool was created by the water which was collected after Lord Brahma bathed lord Krishna. Shri Hanuman Temple is in the premises of the Kanakeshwar Devasthan temple. It is a small temple but the deity is very powerful. The scenic beauty of the temple situated on top of a hill cannot be expressed in words. One has to see it with one’s own eyes to believe it. Hanuman is a monkey god and an ardent devotee of Rama. This god is said to have an important role in finding Sita in the gardens of Ravana. He went across seven seas to locate Sita Mata and bring the news of her plight to Rama. Bhavani is a furious look of Hindu goddess Devi. She is the power of nature and the source of energy. The Jai Bhavani Temple dates back to the 12th century. The deity is seen with eight arms holding weapons. She is also bearing the head of Mahishasura who was a demon. The goddess had slain the demon at Mysore. To celebrate the victory of Good over evil Dussehra is celebrated with pomp and joy. Every day prayer to the goddess starts early in the morning from 5 am. The Kanakeshwar Devasthan Temple is 13 km from Alibaugh. This is a very famous Shiva temple. The temple is on a 900 feet high hill. To reach the temple one has to climb around 5000 well paved stairs which takes around one hour landmarks along the route are tombs of Mohangiri and Balgiri, Nagoba Rest, Jambhali Plateau, God's stair, Gaymandi etc. The fatigue of the uphill climb vanishes the moment one enters the scenic temple premises. It comprises various small temples of Sri Paleshwar, Sri Hanuman, Sri Balaram Krishna and Lord Shiva. The special attraction is an ancient sweet water tank enclosed in traditional structure of black stone. The ancient temple was built by Raja Ramdeorai yadav. The Shiva temple is the main temple. The height of the Lord is 54 feet. The front gate has Lion sculpture on both sides with traditional lamp-pillar (deepmaala) in front. The four ft. long 'Pindi' of Lord Shiva is silver plated. The premises also include Nagaar-khana, Bheem Kunda, and a garden for flowers to be offered to the Lord, Sri Ram Ganesh temple and Gomukha. Every year on Kartik Poornima of the Hindu calendar is the day of fair. On this hill, varieties of medicinal herbs are found. Behind the temple is the Pushkarna Kund. No one is allowed to access the Kund because of some mishaps in the past. The Kanakeshwar Forest is a dense forest. Tourists are allowed to venture into the forest at their own risks. The population of the forest comprises of wild boars, poisonous snakes and panthers. They are the right owners of the forest. The silence of the jungle and the hills can be felt in this area. Wild leopards can be seen roaming the forest areas. Even though the Kanakeshwar forest is dense, it has a lush green look. But due to its depth, the forest looks dark even during the day time. The Nagoba Mandir is 16 km away from Alibaugh. It is at a distance of 20 minutes walk from the Saswane Beach. Once inside the temple one is greeted with bells and bells which are hung in clusters. The bells are in groups of 4, 6 and 12. There is only one Cymbal. People flock here for divine favours. They return to the bells when their wishes are granted. The main and the central idol is a hooded snake. The story behind this is that someone had a snake bite and the venom magically disappeared here. The temple is also the house of the Samadhi of a saint who had divine powers. Just behind the Kanakeshwar Temple is a large Kund circular in shape. It is known as the Pushkarna Kund. Visitors are not allowed to access the Pushkarna Kund. Some accidents had taken place in and around the Kund some times in the past. Also there is a forest nearby which is very dense. Poisonous snakes and panthers are plenty in the forest. Around 23 km away from Alibaugh is Rewas Jetty. The jetty is famous and important for Mumbai Launch service. Tourists coming to Mumbai use the launch services of the Rewas jetty to travel. It is 6 km from Kihim. The jetty is a weekend retreat. The rich and the famous have their bungalows along the beach. They also live in the interior of the place. The most favoured status of the city is due to the major asset of the beaches. Tourists crowd along these beaches in large numbers. When one is at the jetty and stands facing the beach Uran can be sighted. The Someshwar Temple is a fantastic and ancient Hindu temple. The temple was built in the Satwahana legacy. Someshwar Temple is in Akshi which is only 3 km away from Alibaugh. En route to the beach there are many shilas. One of the shilas is close to the Someshwar Mandir. This temple is situated near the deepasthambh. Lord Shiva is otherwise known as Someshwar. There is a story that Shiva once drank an ocean of poison. He churned the poison and that turned into nectar. Tourists and visitors visit the temple to get the blessings of the divine. 18 km from Alibaugh on Alibaugh-Revdanda road, this is another very famous hill shrine. One has to climb around 700 stairs to reach this shrine surrounded by vegetation. Important landmarks are Swami Samartha Math, Sadhana Kutir, and Hare Ram retiring room, Hare Ram Baba Dhuni Mandir, Audumbar Math, and Mai Jankibai Math. This ancient shrine of Shiva looks like built in 'Hemadpant' style of Architecture, though when it was built is not known. Angre history references say that it was renovated many times. The structure comprises of prayer hall (sabhamandap), sanctum sanctorum and 7.6 meter high summit shaped dome. In front of the prayer hall, there are three tanks (kund) namely Parjanya Kund, Agni kund and Vayoo kund. On Alibaugh-Revdanda road, 14 km away from Alibaugh is Chaul and from there one can hire an auto rickshaw to reach this ancient temple. Originally it was built with a tiled roof and wooden structure. In 1990, it was renovated into a modern structure. It is a greatly revered shrine. 20 km from Alibaugh across Revdanda Bridge, to the left is this beautiful temple within the Vikram Ispat premises. Situated on a small hillock, you can walk up to the temple over well-paved stairs. The surroundings of the temple are made up of a well-planned garden and colourful fountains. The prayer hall is open on all sides and the roof is made of transparent Polycarp sheet. The temple has idols of Shree Radha-Krishnna, Shree Shiv-Parvati, Goddess Durga and Lord Surya. Life-size statue of Late Aditya Birla stands in the garden. The Vrindavan Farm is spread over a tremendous area of 28 acres. The farm is located near Kanakeshwar. All varieties of alien and everyday plants can be seen in this farm. 70,000 and more plants can be found to be on sale in the farm. The various kinds of plants are crotons, cacti and many kinds of mango trees. Guava, custard apple, chikoo can also be found in this farm. Vrindavan farm has a one day fun scheme costing Rs 750 per head and includes breakfast, lunch and tea.